I just moved to Utah a few months ago and the Osmonds crop up in conversation more than you would think. Whenever you mention that you live in Utah, people think of the Osmonds. 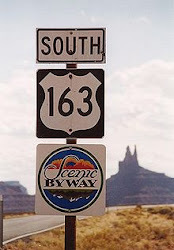 And Utah has always been a small place so it wasn’t too tough to know the Osmonds or cross paths with them according to my husband who grew up in the same area in Utah. So perhaps I should not have been surprised when we would tell British taxi drivers who asked where we were from, Utah, that they would immediately say – “oh Jimmy Osmond.” But I was. I did not know the global phenomenon that is Jimmy Osmond. At the age of seven he was awarded a gold record for a song he recorded in Japanese, “My Little Darling.” That same year, he was named Japan's “Male Vocalist of the Year. As a solo artist, he has accumulated six gold records, one platinum record, and two gold albums. He was asked by the Chinese government to serve as a producer and consultant for live entertainment shows in China and the United States. 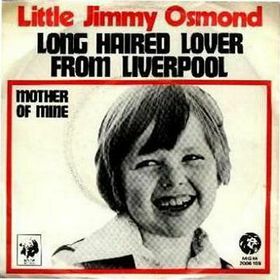 He recorded a song in 1972 called “Long Haired Lover From Liverpool.” It became the UK’s Christmas number one for 1972 and the song sold nearly 1 million copies. He still holds the honor for being the youngest performer to hold the number one chart position in the UK. So his popularity started back in the 70s. More recently, in 2004, he made his solo debut in a British musical, performing in “Boogie Nights” for the summer season at Blackpool. 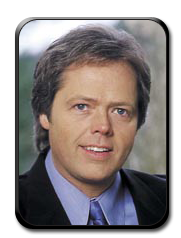 The show broke box office records and paved the way for him to take his “Jimmy Osmond’s American Jukebox Show” to Blackpool in 2005. He was then asked to appear in ITV1’s highest rated light entertainment program “I’m A Celebrity, Get Me Out of Here!” This was followed by appearances on other British TV shows including “Celebrity Family Fortunes,” “Everybody Dance Now,” and “Celebrity Come Dine With Me.” He made his debut on London’s West End in “Grease” in January 2009 playing the Teen Angel. After Grease, he will star as Billy Flynn in the UK National tour of the smash-hit musical Chicago. 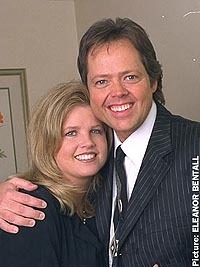 If you really want to know more, check out his website: http://jimmyosmond.com/. He twitters too. Oh, and there is an Osmond family blog. You can find more than you ever wanted to know about the Osmonds online. Jimmy and Michelle. I got the better deal Michelle!